A criminal charge in Warren necessitates the hiring of an experienced, top tier attorney. Why take chances with a lawyer that does not specialize in criminal defense or with court appointed counsel? The consequences of a criminal conviction can last forever. The loss of freedom, damage to reputation, the inability to pursue certain careers or employment, driver's license sanctions, and immigration issues for non-citizens are a few of the potential issues that arise with a criminal case. The best way to help yourself is to hire an experienced, proven lawyer such as attorney Daniel Hilf of the law firm Hilf & Hilf, PLC. If you have a court date at the 37th District Court or elsewhere in Macomb County, make sure you bring the right lawyer with you. Regardless of whether your Warren Michigan issue is a misdemeanor, felony, or traffic ticket, attorney Daniel Hilf will provide relentless, thorough representation for you or your loved one. When your future is in doubt and the way you live your life is in jeopardy, it is important to have a top level lawyer when going against the Warren Police Department, the Macomb County Sheriff's Department, Warren city attorneys, assistant Macomb County prosecutors, and the almost endless resources of the government. Having a attorney that is able to think on his feet, who does not bow to the pressure of prosecutors, who uses to your advantage many years of experienced litigation skills and proven strategies, with a solid reputation, is exactly what you need for Court. Deal with your stressful court situation in the best possible way by hiring criminal defense attorney Daniel Hilf. When it comes to cases at the Warren District Court there is no place for bad legal advice, shoddy legal work, or for anything short of top tier legal representation. Criminal defense lawyer Daniel Hilf's duty is to provide a well prepared courtroom defense and aggressively fight for clients who have to go before a Warren Judge due to an allegedly bad day in their lives. Attorney Hilf's obligation to clients is to relentlessly litigate defenses at trial, or to diligently attempt to negotiate positive results through a plea bargain or sentence agreement when available, at the client's direction. Lawyer Daniel Hilf is referred by other practicing Michigan lawyers and highly trusted by clients because he is great at what he does. False criminal charges wrongly treats the innocent as criminals. The cause of false criminal charges include any of the following: self interest (child custody issues, property division, ongoing divorce, etc. ); mistakes made by police officers and/or eyewitnesses; personal or racial bias; deception; assumptions that are misguided or wrong; violations of Constitutional rights; police officers jumping to false conclusions; lies; persons that are purposely targeted by police officers due to a prior criminal contacts (rounding up the "usual suspects" mentality); etc. Police officers think of people they want to interview or interrogate as either suspects or witnesses, and sometimes will determine that someone who was once a witness is now a suspect. Police officers are not neutral in their opinions about the existence of probable cause when bringing criminal charges to the prosecution. Often police officers are not fair in the manner in which they conduct their investigations, and use deceptive tactics and tricks to elicit incriminating statements. Police officers feel the need to pick sides when confronted with differing stories, and do not admit it when they don't know where the truth lies. Unfortunately, sometimes the result of an investigation is a determination that a person has criminal culpability and should be prosecuted, even though the person actually did not commit the crime. Lawyer Daniel Hilf's commitment is to fight against wrongful convictions by working dedicated hours, and by conducting thorough case evaluations and preparation. Overcharging procedures lead to heavy handed prosecutions, which are another form of injustice. When the prosecution decides to proceed with a more serious charge, even when a strong possibility exists that the conduct does not not fit the more serious crime, the result is overcharging. In many cases the best option to an overcharged defense, is to argue for or plead down to a lessor offense. In other cases, fighting for acquittal at trial is what needs to be done. Trial strategy differs from case to case, and is determined by the lawyer and client after a conducting a full evaluation of the allegations, the possible evidence, the potential witnesses, the legal issues that need to be addressed, the available defenses, and weighing the weaknesses and strengths of the case. Protecting client rights, updating clients as to their case and providing discovery, placing cases in the proper light, compassionate help, well thought out litigation, fighting for the best result, and compassionate help all play large roles in Daniel Hilf's defense of cases. When you want a lawyer that you can believe in, it is time to contact attorney Daniel Hilf. Before you sign on the dotted line of a fee agreement with your lawyer, make sure you know his or her legal credentials. Your research into Macomb County defense lawyer Daniel Hilf will reveal the following: he has won several awards for his legal advocacy work; he has 20 plus years of legal experience with over 100 completed jury trials (many successfully); he is referred to many new clients by other lawyers and former clients; he has a well staffed office in Troy Michigan; he has appeared on behalf of clients on thousands of occasions; and he prides himself in the number of extremely satisfied current and former clients he has. All Macomb County District Courts (37th District Court, 38th District Court (Eastpointe), 39th District Court (Roseville and Fraser), 40th District Court (St. Clair Shores), 41A District Court (Sterling Heights and Shelby Township), 41B District Court (Clinton Township), 42nd District Courts (Romeo, New Baltimore). Criminal defense is an awesome responsibility. Daniel Hilf is highly rated lawyer with a professional office environment. He immediately takes steps to address your issue, returns your calls, and gives personal attention to your case. Importantly, he cares about clients and dedicates a lot of resource into his legal defense because criminal offenses carry potential serious consequences. Why take chances when it comes to who will defend you? Have you received a ticket in Warren or otherwise have to go to the 37th District Court? Criminal defense attorney Daniel Hilf offers solid criminal defense work for all cases he handles. It is time to remove doubt and negative thoughts from your life. It is time to start thinking positively about your court case. Lawyer Daniel Hilf is available for you, and offers payment plans in many instances. Hilf & Hilf, PLC offers a variety of payment options, including: credit card, debit card, wire transfer, money order, cash, cashier's check, and personal check. Attorney Daniel Hilf handles all misdemeanor, felony, ticket, local ordinance, juvenile, and Federal cases. 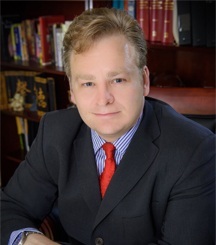 Let attorney Daniel Hilf use his over 20 years of licensed practice to your benefit. Having attorney Hilf in your corner will give you the confidence you need to properly face your difficult court related situation. Contact Hilf & Hilf today to discuss your case with attorney Daniel Hilf.